Dr. Crawford chose the path become a doctor, when her desire to help others took root in her heart in elementary school. As a young adult, she went on to obtain a Bachelor of Science from Middle Tennessee State University, and a Doctor of Medicine from Meharry Medical College. 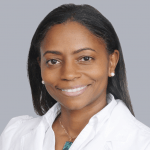 She later completed a residency at the prestigious Johns Hopkins Hospital, where her training went on to jumpstart the career that was in line with her heart since a pre-adolescent. Dr. Crawford understands the life-altering effects of chronic pain, and as such, has held positions in pain management that give her patients the confidence they need to know they’ll have superior treatment. Two of those positions include: Director of Anesthesia at Northcrest Medical Center, and the Medical Director of Pain at LifeLinc Anesthesia. Her extensive training in medicine, as well as her calming, reassuring, demeanor is one that patients seek and request. She derives the greatest satisfaction from her job, being that she is able to provide a service for people who have been suffering from chronic pain. She spends time giving back to the community by supporting St. Jude’s Hospital, and additional activities she enjoys are golfing, forensic studies, Biblical studies, traveling, dining and spending time with family. One such travel experience was when she had the opportunity to take a missionary trip, which has been her favorite trip she’s taken thus far.